All Europa Editions don't look like this, but a good number of them do. I have always liked the simple starkness of these (and others; here's their Web site), but I don't imagine they're everyone's cup of tea. So...are they yours? The thing that I like is that the books are immediately identifiable as Europa, both from the front and from the side--it's a branding thing. The font pisses me off royally, but I guess I have to accept that it's a signature feature of theirs. 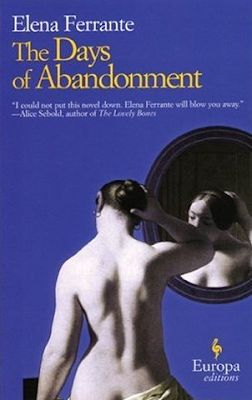 Besides all the text souring the cover, Days of Abandonment is an especially fine piece of work. 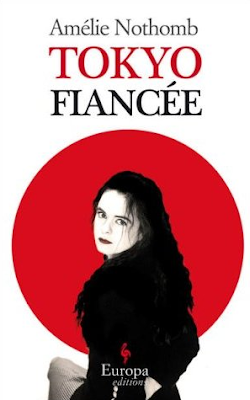 I think the Tokyo Fiancee one's a little aggressive, the others are, rough. I don't like the typography - it seems like a cramped afterthought (and I'm so used to titles and other large sections of text being letterspaced a bit). There is something about these that seems dated, very late '70s. I have to say that none of these covers excites me. I have often bought books solely because the covers intrigued me. No danger of that happening here. The Elegance of the Hedgehog is fun and getting a good bit of bookstore shelf placement. These don't bother me. They have an aesthetic that feels slightly european. It's the type it think. and the isolated imagery against bright backgrounds. Something euro about it all. But yeah, none of these do much for me. although they do remind me of Drummond's Parker detective series a bit. I think the covers are okay, but nothing stunning. 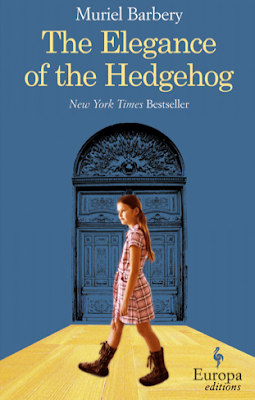 My favorite would have to be The elegance of the Hedgehog, which is the only one I would want just for the cover. They feel very... '90s to me. Not my fave at all. Agreed on the Hedgehoge one. The weird typography maybe be a signature thing, but they could at least make it consistently weird ... the different fonts bother me (well among other things). I wouldn't pick these books up. They don't feel new, in fact they feel rather boring. Individually the covers aren't very interesting, but Europa's successfully created a distinct look for the entire line. 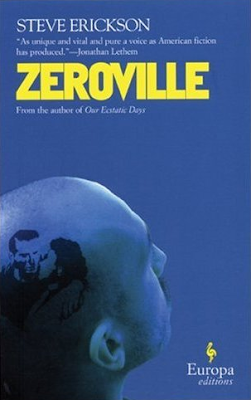 They attract me because I know they're Europa titles, much the way the old, bland Dalkey Archive covers used to. First three or yawn-inducing. No particular pizzaz or anything. In fact, the first one looks like one of those boring books they make you read in high school English class. The last one looks great, if you're a book designer in 1971. Not impressed with any of these at all.